With the threat of the Holy Grail War no longer looming over Fuyuki City, its inhabitants can finally enjoy a time of peace. 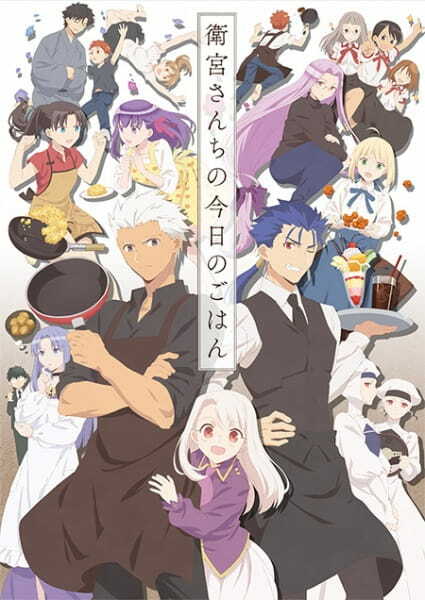 Now that all of the Masters and Servants have adjusted to their new mundane lives, Shirou has taken it upon himself to cook for his household and show Saber the wonders of modern cuisine. Every day, he ventures into the marketplace to see what kind of different meals he can cook up with unique ingredients and a limited budget. However, his legendary skills often attract uninvited guests from all over the city, so there is never a dull moment at dinner with the Emiya family. 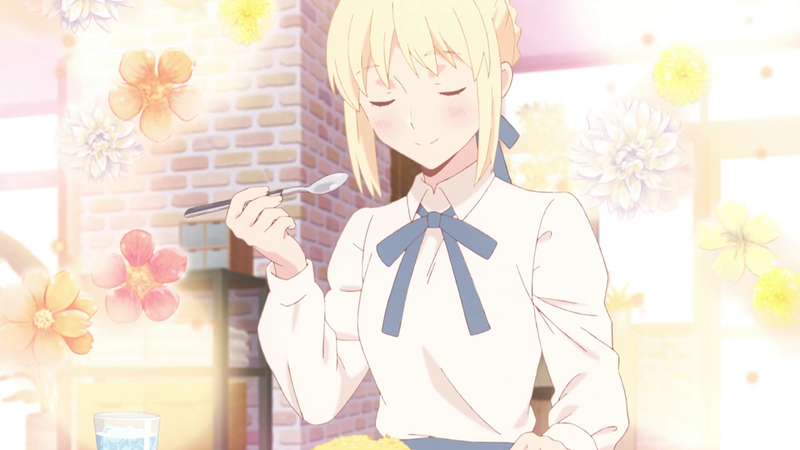 As his guests entertain themselves in the living room, Shirou walks through the step-by-step process of creating some of his favorite meals. With delicacies such as his savory New Year soba with shrimp tempura, steamy foil-baked salmon, and cheesy bamboo shoot gratin, everything is up for grabs on his menu. Itadakimasu!